The day got off to a slow start when I realised I'd not set the heating to come on; so I got up, switched that on, made a cuppa and took it back to bed to listen to the Test match (hurrah for Alastair Cook and Matt Prior, I say...) Two hours later... Ah well. And kudos on charting at the end of the day. 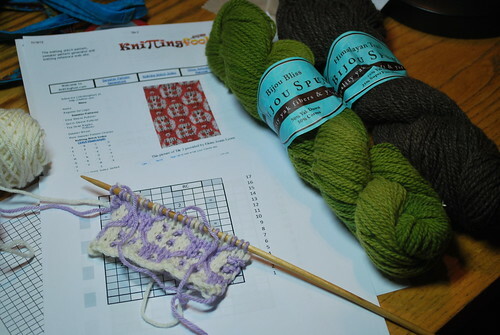 It's like casting on lace after midnight for me - best to proceed with caution.